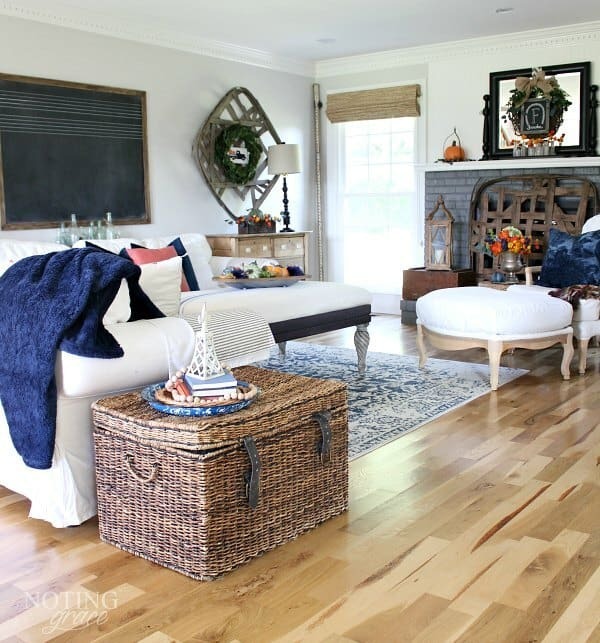 Last year’s fall decor was bold and colorful, but this year I chose something different. 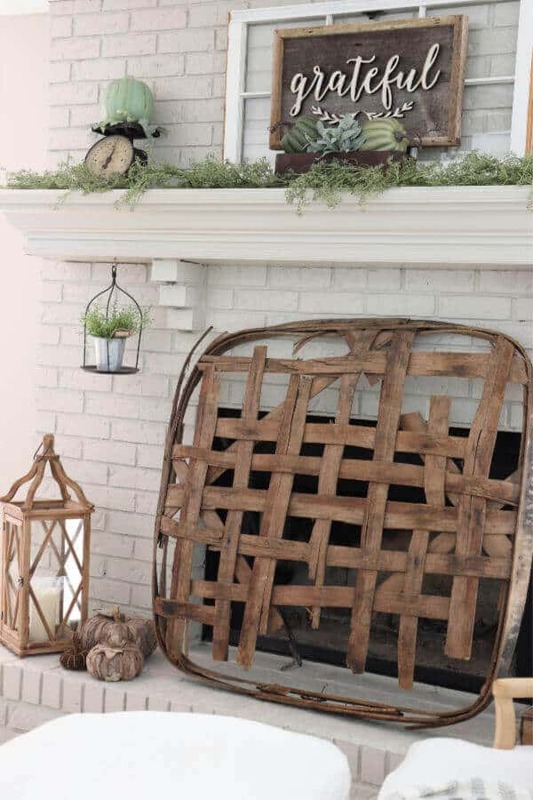 Here is a muted fall mantel for you to enjoy! Even though I haven’t cooked dinner in 3 nights and my home is covered in demolition dust, it didn’t stop me from taking a few minutes to surround myself with a hint of fall. After a long day of working on our Master Bathroom, I still want to have a spot to enjoy when I finally sit down to relax at night. So a wee bit of fallifying took place to make this momma happy! 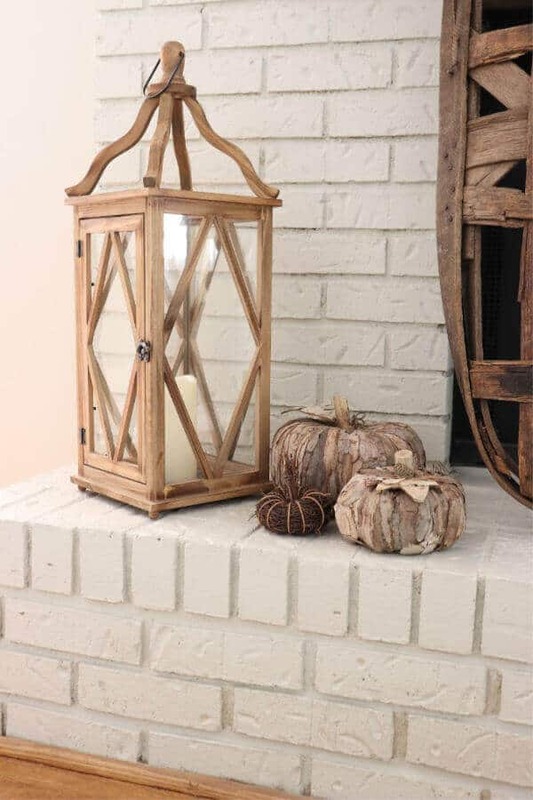 Last year’s fall decor was filled with bold colors of navy and orange, but I wanted to try a softer look this season. If you all know me, you know my affinity for tobacco baskets. 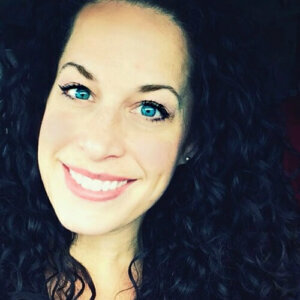 Being a Kentucky girl who came from a family of tobacco farmers generations past, it ushers in sentimentality in my heart – even more so now that I’m farther away from my beloved family. 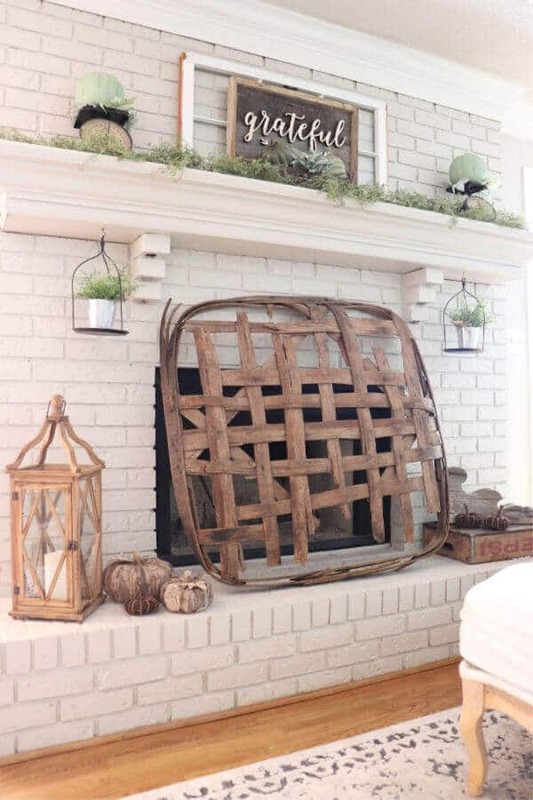 So, I started with my signature DIY tobacco basket fireplace screen. The previous owner left hooks in the mantel. 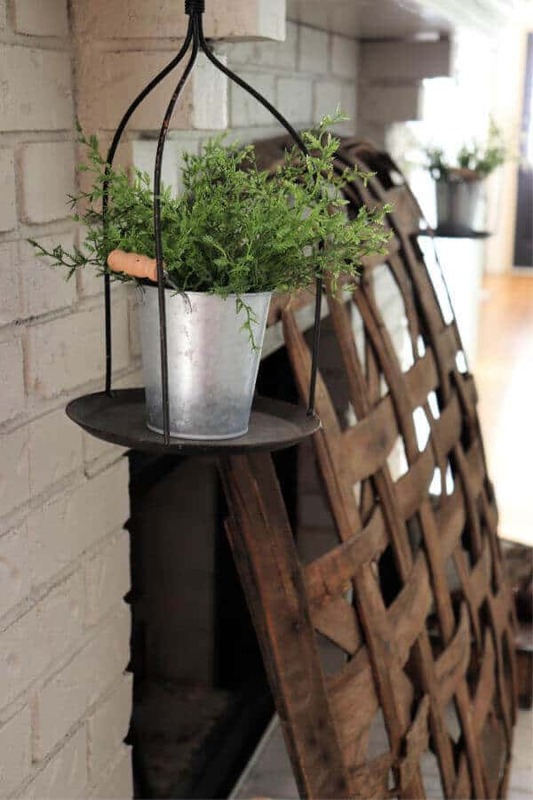 I took baskets from a replica vintage metal scale and hung them from the hooks. 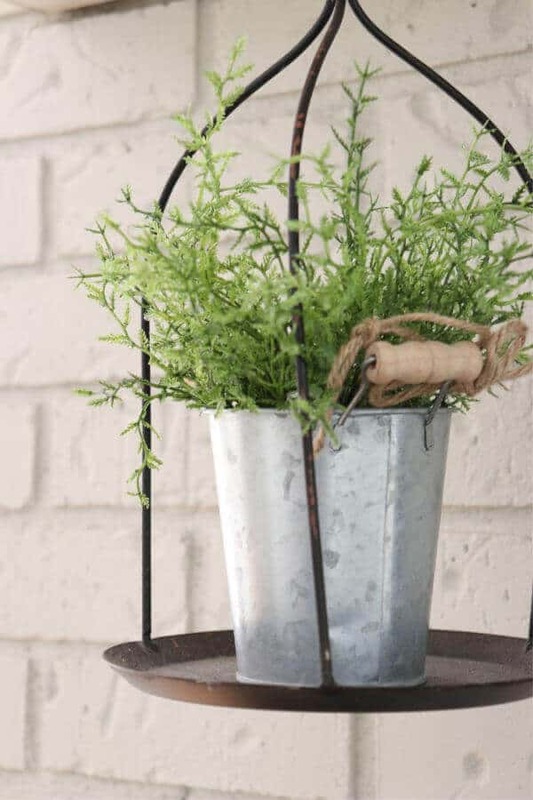 Adding these small galvanized planters and greenery bushes from Hobby Lobby completed the look. Above each planter, I placed my favorite vintage scales with some DIY heirloom pumpkins I made. 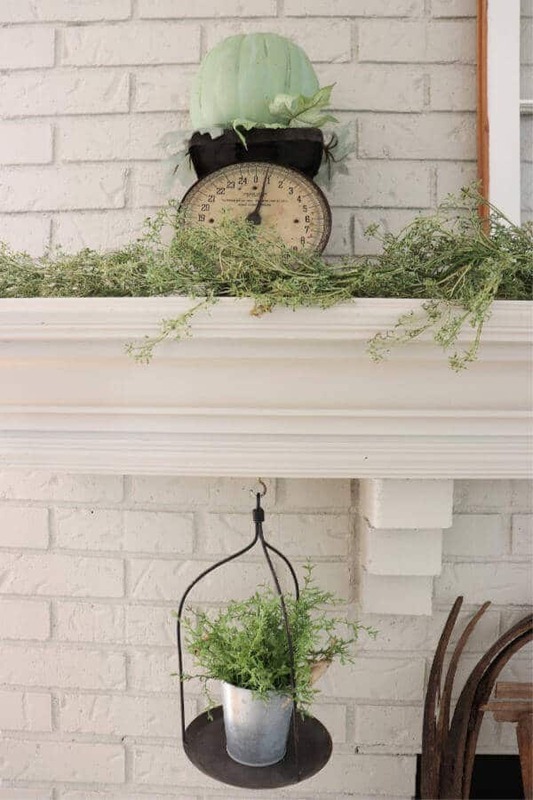 And that green baby’s breath garland was just the right color and texture to create that muted fall mantel I wanted. The wooden carved Grateful sign is from Harper and Grayce. I won it a few years ago in a giveaway on Instagram and it’s still one of my favorites! I reused my Kirkland’s lantern from last year. It was the perfect muted color for this palette. And aren’t those bark pumpkins the cutest?! 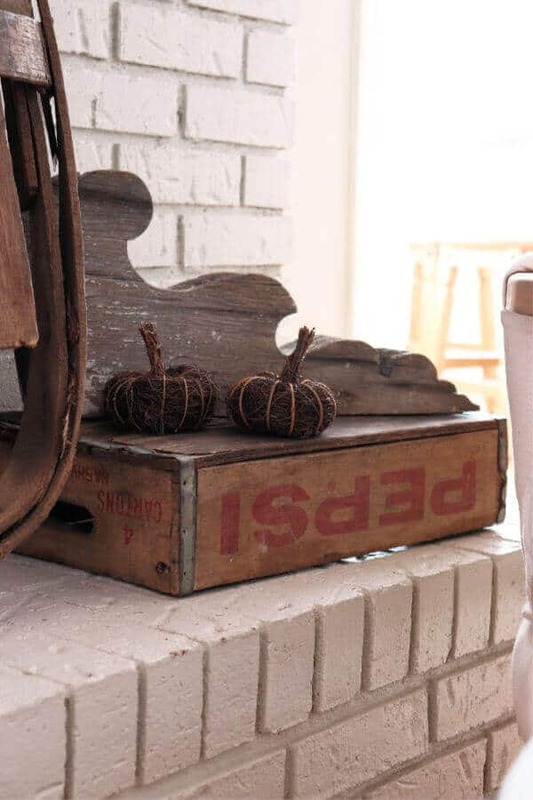 On the other side of the mantel, I place a vintage soda crate with a chippy corbel on top. 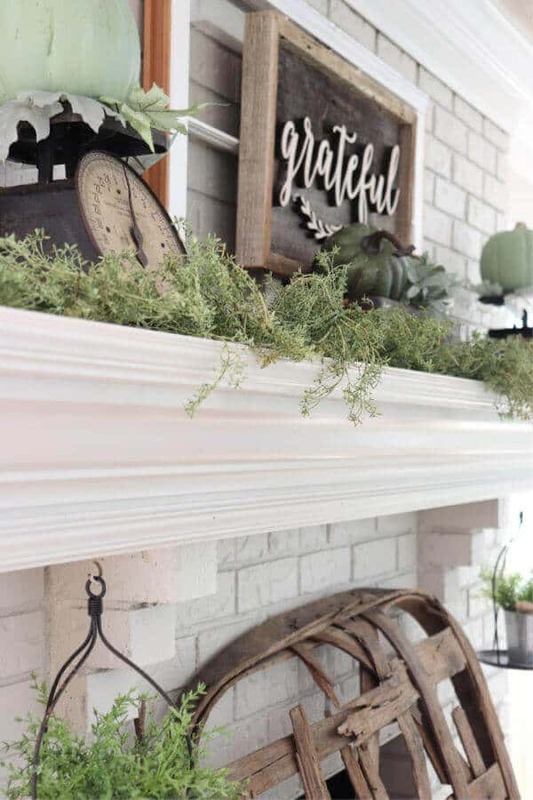 So using wood tones and soft, faded greens, I was able to create a muted fall mantel that I can enjoy while sitting in my Deconstructed chair as I relax. 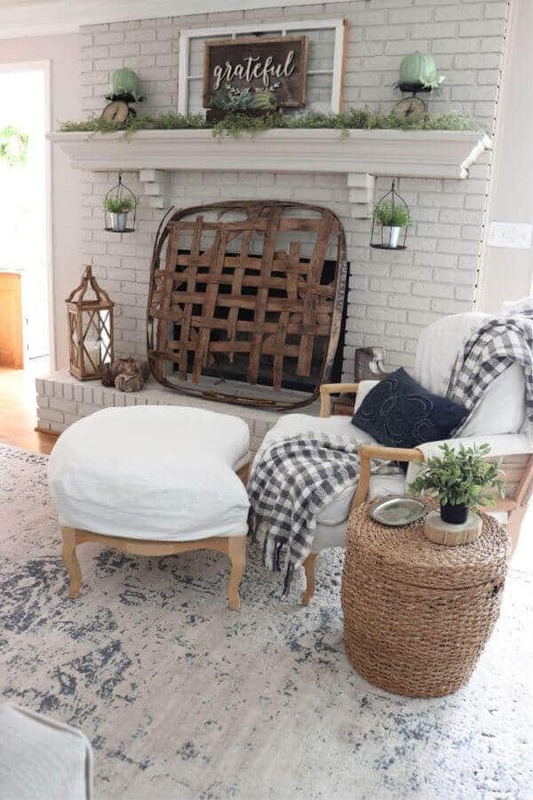 Even though you may be busy with fall games, school activities for your kids, getting ready for Halloween, or doing demolition like we are, it’s important to find a spot to sit and relax and enjoy. I am a huge lover of all things Fall. I had to carve out a quick moment to create a space for me to wind down each night. It only takes a few moments. So whatever your style or taste or favorite season is, spoil yourself by surrounding yourself with a few of your favorite things. Your heart will be so much happier for it! Easy DIY Fall Bunting you can make in minutes! Don’t miss another post! Sign up to become an insider, or follow me on Instagram or Facebook for all the behind the scene details!